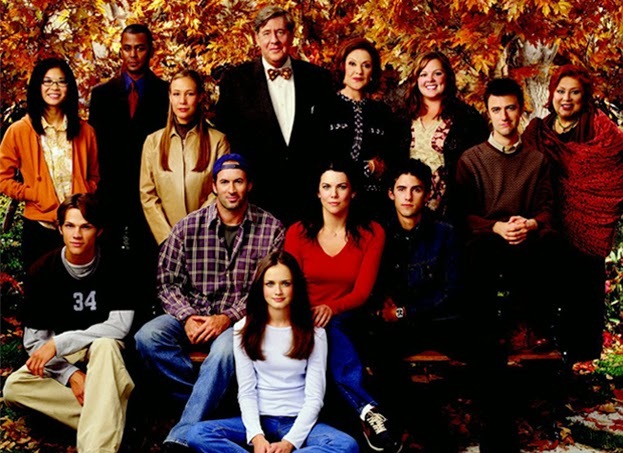 As a loyal fan of Gilmore Girls, I was overjoyed when I found out that the series would be streaming on Netflix - all seven seasons! Gilmore Girls follows the lives of witty and coffee obsessed Lorelai Gilmore raising her daughter Rory in the fictional town of Stars Hollow, Connecticut. With great story lines and constant banter, the show is a must watch! Since Netflix has added the series for streaming, I've chosen a few of my favorite must watch episodes! If you haven't watched the show, I definitely recommend grabbing a bag of popcorn and binge-watching the entire series! Season 1, Episode 4 "The Deer Hunters"
Season 2, Episode 16 "There's the Rub"
Lorelai and Emily spend the weekend at the spa. Rory spends the evening alone until it's interrupted by Paris. In addition, Jess unexpectedly shows up with a bunch of food from Luke’s Diner and invites himself over for dinner. Dean surprises Rory with some ice cream at her house only to find Jess there. There’s no denying the chemistry that Rory and Jess have in this episode. As a Jess fan, this is definitely one of my favorite episodes. Season 3, Episode 7 "They Shoot Gilmores, Don’t They?" Stars Hollow holds its annual 24-hour dance marathon, which Lorelai is determined to win. The Rory/Jess/Dean love triangle comes to its end as Dean breaks up with Rory because she has feelings for Jess. It's definitely a must watch episode, especially since Adam Brody appears as the dorky, music obsessed, Lane crushing, Dave Rygalski. Season 4, Episode 22 "Raincoats and Recipes"
The wait is over! After four seasons, Luke and Lorelai finally go on a date. However, things don’t go according to plan when Lorelai’s ex comes to the newly opened Dragonfly Inn leading Luke to be unsure of where he stands. Eventually things get sorted out, marking the beginning of Lorelai’s and Luke’s relationship. Rory rekindles her relationship with Dean (who recently got married) and loses her virginity to him. Season 5, Episode 13 "Wedding Bell Blues"
In the 100th episode of the series Emily and Richard renew their wedding vows. After speaking to Emily, Christopher comes to the wedding hoping to win Lorelai back. Luke and Christopher end up getting into an argument about Lorelai leading Luke to leave the wedding early. Rory decides to have a casual relationship with Logan, even though she's used to having more serious relationships. Season 7, Episode 22 "Bon Voyage"
Rory lands her dream job as a political reporter and finds out she has to leave Stars Hollow in three days. With help from the town, Luke throws a surprise goodbye party for Rory. This is one of my favorites because it shows just how much Luke cares for Rory and Lorelai. At the end, Lorelai and Luke get back together and rightfully so, the last scene displays Lorelai and Rory eating at Luke’s Diner before Rory heads off to start her job.